ATV Parts, ATV Radiator Kits, ATV Wheels Tires, ATV Suspension Springs Shocks Bumpers - Wild Boar ATV Parts > Big Wheel Kits > XM310 35-9.5-18 mounted on MSA Wheels – Free Shipping! « BKT AT-171 33-8-18 mounted on Fuel Tritons – Free Shipping! 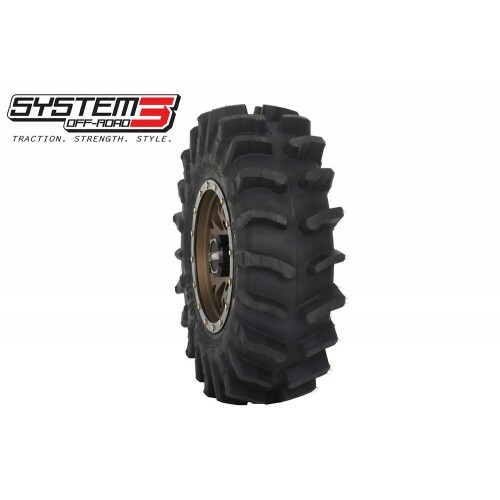 You will be purchasing (4) 35-9.5-18 Dragon Fire XM310 Extreme Mud Tires mounted on your choice of 18″ wheels. All big wheel kits come mounted with lug nuts and center caps included.